Here's a simple Sales data of a retail Store which sells Apple Products. Since a customer can transact multiple times, there will be repetitions in the Cust ID column. While Cust ID 123 and 782 purchased multiple products from the same Store in one transaction, Cust ID 53 purchased multiple products from different stores (Store ID 165 and 45) [and therefore the Order ID's are also different (Order ID 2 and 6)]. On this small sample, one may want to identify "Cross and up selling opportunities" i.e. one may want to know which are the Customers that can be approached for selling more products to. So for e.g. one may want to know which Customers have bought only one product so far. A case in point being the Apple Watch - Customer ID 2442 and 428 bought only this product. The other Customers who bought the Apple Watch also bought atleast one more product. Therefore, Cust ID 2442 and 428 could be approached for buying other products as well. Solving this via conventional Excel formulas and Pivot Tables would prove to be a formidable challenge. 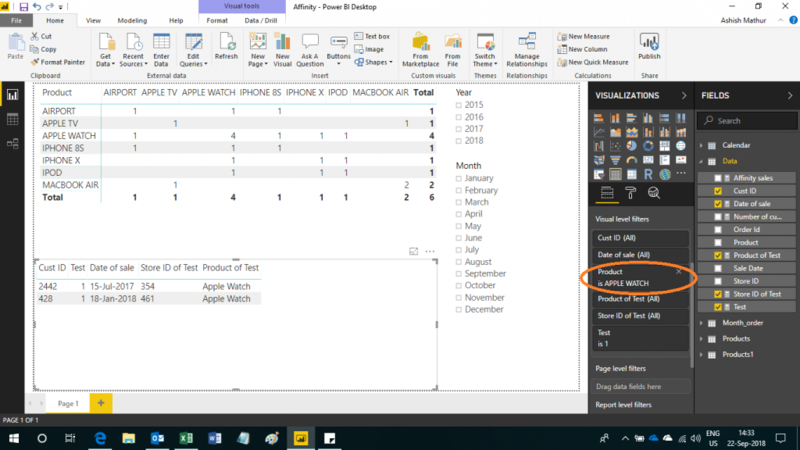 I have solved this problem using a Data visualisation software from Microsoft called PowerBI desktop (it can be downloaded free from the Microsoft website). 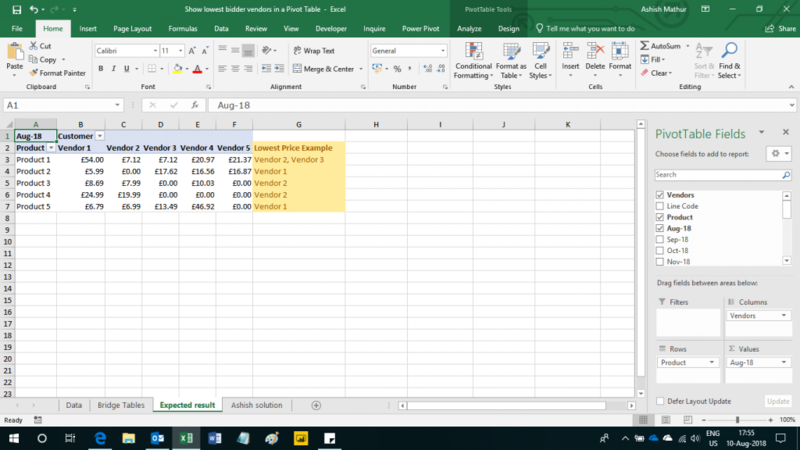 This problem can also be solved in MS Excel using Power Query and Power Pivot. There are 3 sections in the image below - Table at the top (First Table), slicers at the right and another Table at the bottom (Second Table). When one right click's on APPLE WATCH and selects "Drill down", one will be able to see the Customers who bought the other products as well. This table shows a list of Customers (and their transaction details) who bought only and only that one product selected by the user in the filter section (see the red oval selection in the image). So these two customers could be approached for selling more products to. You may download my PBI desktop file from here. 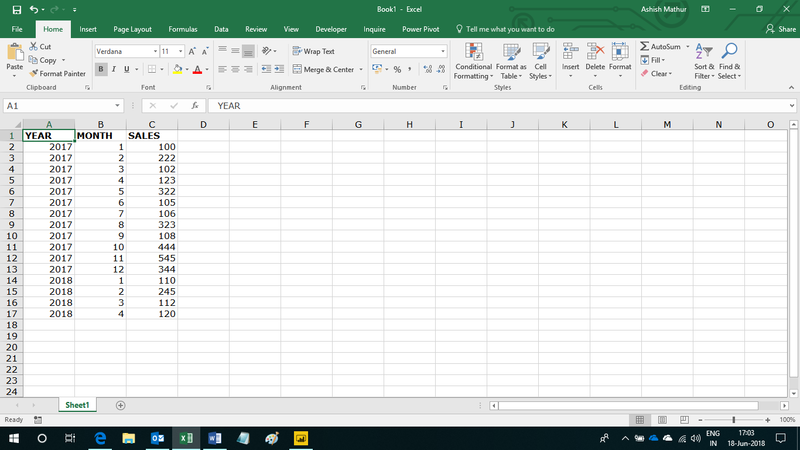 Assume a single column dataset as shown below. 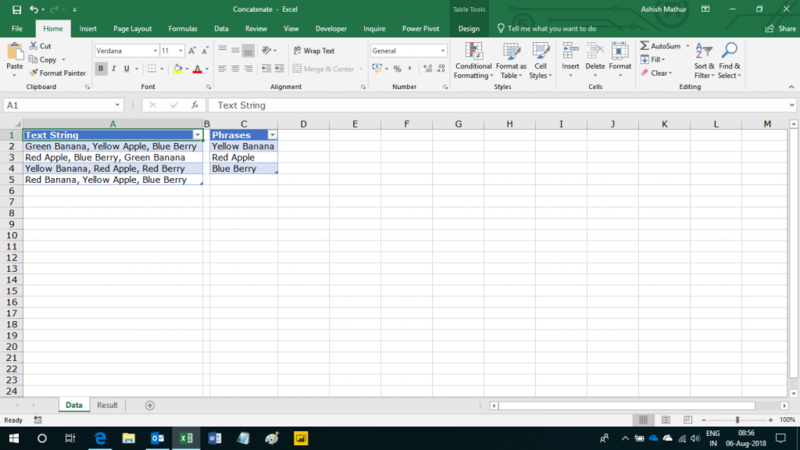 As you can observe, there are multiple entries appearing the same cell separated by commas. 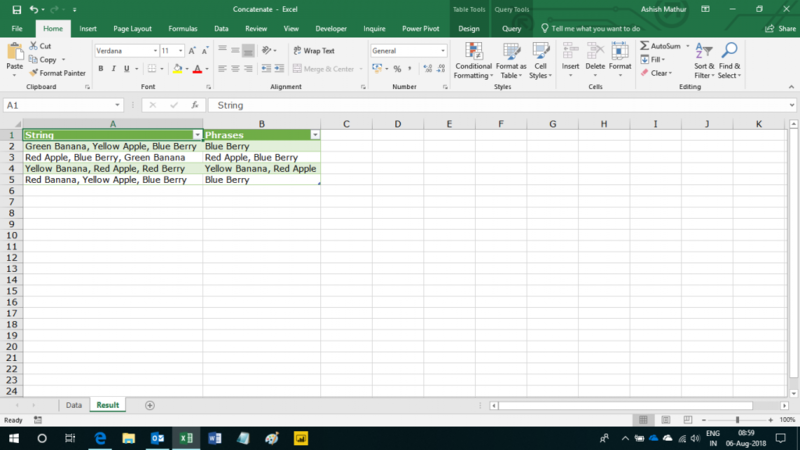 The objective is to sort, in ascending order, the entries in each cell. The expected result is shown below. 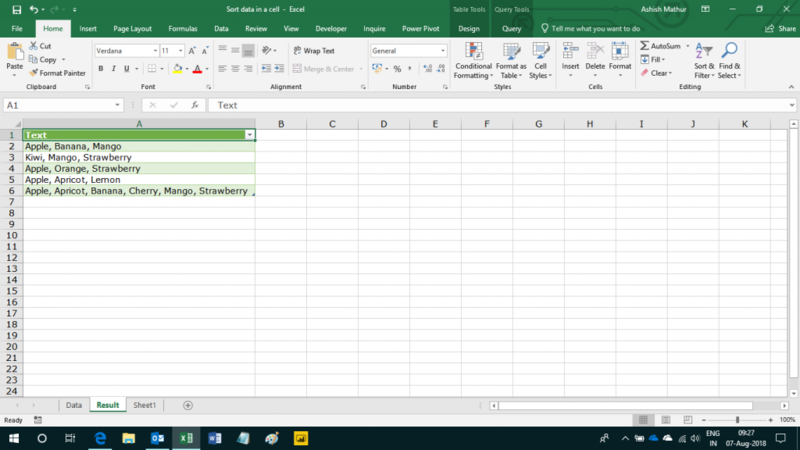 I have solved this problem using Power Query a.k.a Data > Get & Transform in Excel 2016. You may download my solution workbook from here. 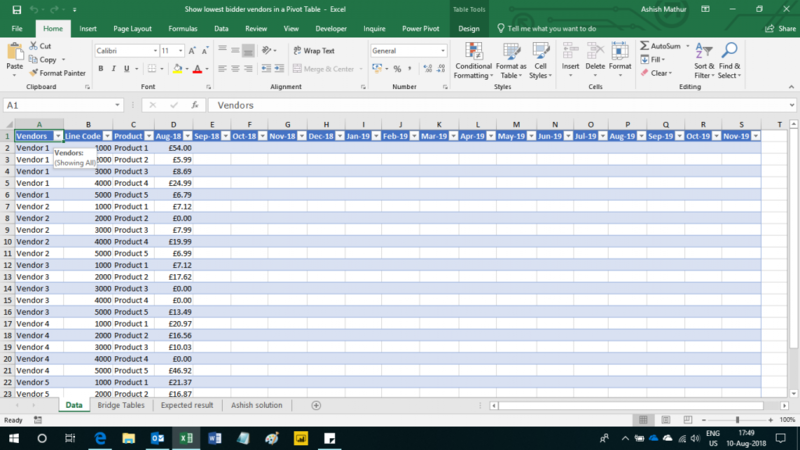 The objective is to create a simple matrix with months in the row labels, years in the column labels and sales figures in the value area section. 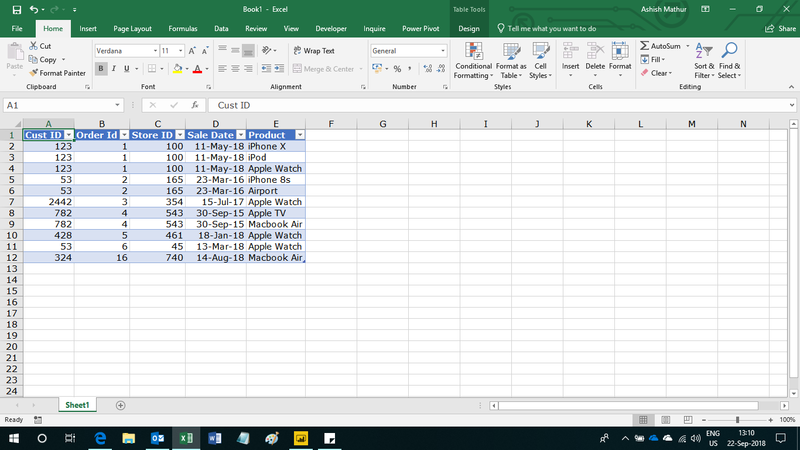 The twist in the question is that for years prior to the current year (2018 in this dataset), sales should only appear till the month for which there is data for the current year. For e.g., for 2018, data is only till Month 4 and therefore for prior years as well, data should only appear till Month 4. 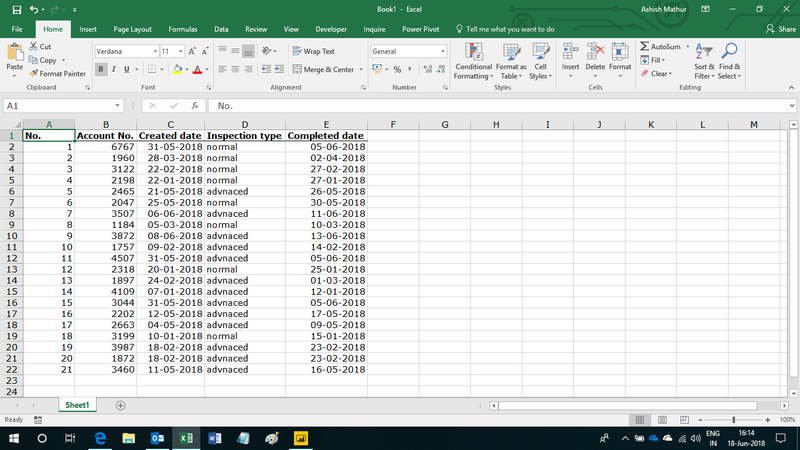 As and when Sales data gets added below row 17, data for prior years should also go up to that month. You may download my PBI file from here. The same solution can be obtained in Excel as well (using Power Query and PowerPivot). I have solved this question using 3 methods - PowerPivot, Advanced Filters and formulas. You may download my solution workbook from here.